Headlines, hot news, and conversation starters on May 16, 2016! 1 Oh no! 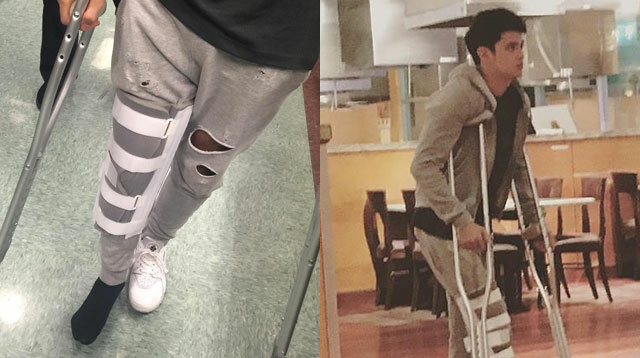 Due to the huge crowd at the "JaDine High on Love" U.S. tour in Las Vegas, James Reid reportedly injured himself as he was boarding a bus. It looks like James is being a good sport about the entire thing and keeping his spirits high for the rest of their tour. (Don't) break a leg, James! 2 Another "It Girl" is about to get hitched! After Georgina Wilson, aka The New Mrs. Burnand, tied the knot a few weeks ago, we are now waiting for Solenn Heussaff to walk down the aisle on May 21! Sos posted this Instagram photo of her and her beau, Nico Bolzico, as a cute farewell before their flight to Combourg, France today!